The Elk Creek Fire Protection District is a mostly volunteer combination fire department. District location: 30 miles southwest of Denver, Colorado. District area: Parts of western Jefferson County and eastern Park County. 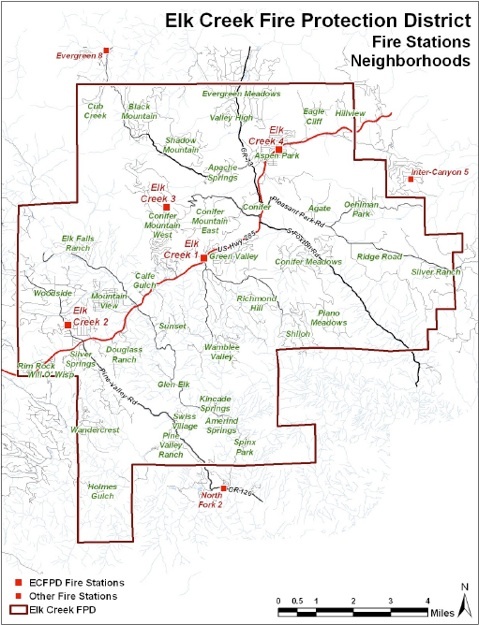 District communities: Aspen Park, Conifer, Pine Junction and parts of Pine, Evergreen, and Bailey. District size: Approximately 98 square miles. 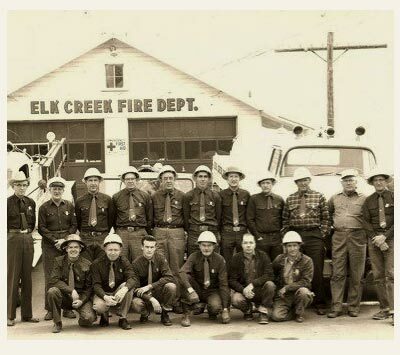 The Elk Creek Fire Department was formed in 1948 by local residents who recognized the need to provide the community with fire protection. Completely volunteer and dependent on donations and using WW II surplus equipment the Department provided a much needed service to the community. In last 70 years the call volume has increased to approximately 1,200 calls per year. The department now has full time firefighters that work 48 hour shifts, state of the art firefighting and EMS equipment as well as a love to serve our mountain community.